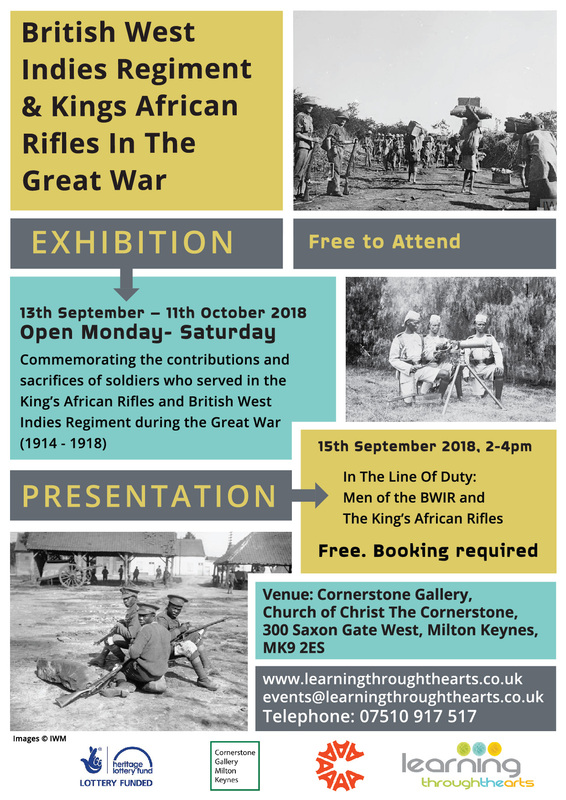 BWIR (British West Indies Regiment), Men of the King’s African Rifles is heritage exhibition commemorating the sacrifices and contributions of the two million Africans and West Indians affected by The Great War. It commemorates Armed Forces Remembrance Day and marks the Centenary of The Great War in 2018. Please note: This exhibition is free to attend and open from Monday to Saturday. Booking is required for the accompanying presentation, also free to attend. This project is kindly funded by HLF and delivered with support from Arts Central, MK.